Illinois State Treasurer's report for the fiscal year ending June 20,2009. The report provides details cash balances, receipts, transfers, disbursements and warrants outstanding. Also the report includes the current investment policies employed by the State Treasurer's office. 1. 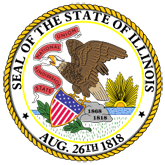 Illinois State Treasurer's report (treas001.pdf).